PJ Walker - Mixing Magic and Comedy! Magic and Comedy shows are customized for your event. Birthday parties, special occasions, corporate events, school shows, and fundraisers, all get customized magic and comedy. 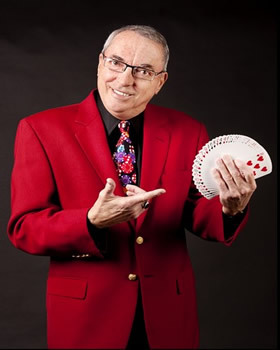 Wherever and whenever you need fun and professional entertainment, The Magic and Comedy of PJ Walker can be there for you! Serving The Woodlands, TX and the Greater Houston Area.